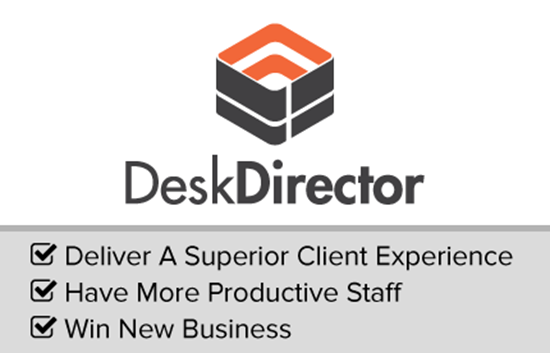 DeskDirector is the ultimate platform for IT Service Providers to deliver the experience their clients want by allowing you to improve the client experience, staff efficiency and differentiate yourself to win new business. Chat with you directly from a ticket – Clients don’t have to provide all their contact details as your team will know who is asking to chat and the ticket they want to chat about. Approve work before it is performed – Allows you to determine what requests need approval, who can approve and even allow them to approve while on the go. All of this can be varied for different clients. Forms integration – Allows customers to fill in customizable forms for new staff member requests, new equipment requests, or support requests. Access personalised training content – Provide training, self-help and access to other web portals easily. This content can be easily customized per client and allows you to add value and differentiate. View Quotes and approve them – DeskDirector is integrated with leading quote solutions so you can give clients direct access to their quotes. View Invoices – With permission clients can access and open invoices. No more losing them in email. Securely auto login using active directory – Using Active Directory clients don’t have to remember a password to log in. 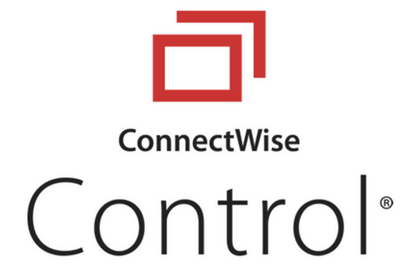 Their contacts also get automatically created in ConnectWise Manage. Access their tickets from a mobile device – We even have a mobile web application you can provide your clients. Easily start a chat with a client from a ticket – With the Staff Heads Up Display you can chat with your clients or they can start a chat with you. Know if your clients are at their desk – With the DeskDirector Client Presence feature you will know if your client is at their desk to take a call or chat, and what computer they are sat at. Instantly know how important a client is to your organisation – You can see details about the user, company and most importantly if they are a VIP. Find rogue and related tickets – With ServiceRadar you can easily find tickets that need to be looked at and avoid client frustration. 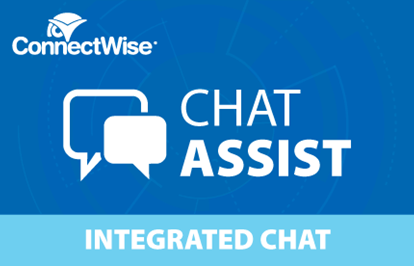 Support multiple clients at once – Chat to and support multiple tickets at once using our familiar and intuitive interface. Add custom integrations – Speed up access to important other portals or dashboards by adding these as custom tabs to ticket sessions. This allowing you to show web pages with information specific to the company, contact, ticket or computer. Easily enter their time and improve on SLA’s – Entering time is easy and painless. This tool rocks! Our customers prefer going to one tool for all then this web page for this and that web page for that. It is a simple clean interface and with the build in chat / knowlegebase / and voip integration it is one stop help desk heaven! Superior product with an endless list of usefulness. Seamless logon, computer sync, click to create/update/view tickets, permissions based on CW portal security, lots of extra's. Support is extremely responsive, product is easy to use for the engineer and for the client, and provides a tremendous value-add for the client. Great alternative for the CW portal. We've been using this tool for a few months now and with the limited roll out we've done the response from our clients has been 100% positive. We now have the ability to control service requests at a much higher level and even have the ability to add value added services like custom training portals for each client. This is definitely a top tool we will be using a lot to drive our service delivery and improve communications with our clients. This Plug-in is AWESOME. It has closed the gap between our engineers and our clients. They feel more connected to us and it makes our Business look and feel more professional. The Team down in NZ have done a great job with this App and we look forward to more enhancements for the future. Great potential with a strong foundational product/offering filling am much-needed gap. More importantly...a strong management team with their finger on the pulse of ITNation! I believe in their ability to continue adding and improving the core offering and look forward to the future! That said, the PRESENT is pretty good! This tool really took our customer service to an entirely different level. By giving our clients visibility, we have reduced the number of duplicate tickets created and our client satisfaction has jumped substantially. The concept is rock solid, and the product fills a huge gap. The ability for us to pull our clients so much closer to us in a remote helpdesk scenario is critical with all the changes in the industry right now that have the potential to distance us from our clients. This is just the beginning, there is so much DeskDirector can do with the framework they've begun to build. Excited to see what's coming!